Welcome to this year's 25th issue of DistroWatch Weekly! The Slackware-based VectorLinux project has been around for over a decade, making regular releases of the fast, desktop-friendly Linux distribution. Robert Lange, the project's co-founder and lead developer, was kind enough to agree to an interview. How did it all start? And what does the future hold for the project? Read on to find the answers to these and other questions. In the news section, the Fedora community announces a new live CD featuring the lightweight LXDE desktop environment, Mandriva prepares for its 2010 release with major changes to the development branch, and Ubuntu gets set to tackle minor annoyances which impact negatively on user experience. Also in the news, we link to an interview with Linux Mint's Clement Lefebvre and O'Reilly publishes answers provided by developers about the recently released OpenBSD 4.5. Finally, don't miss the "New Distributions" section, with no fewer than seven new additions to the DistroWatch's waiting list. Happy reading and happy testing! 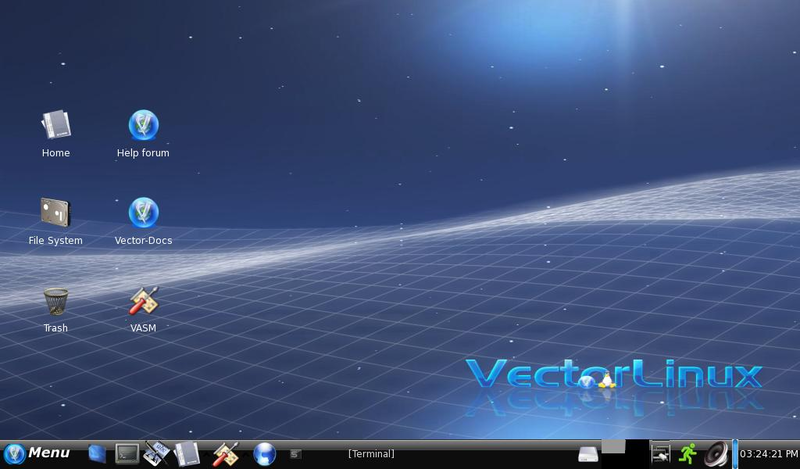 VectorLinux is one of the most popular Linux distributions based on Slackware, the oldest surviving Linux distribution. VectorLinux is a desktop-oriented distribution designed for ease of use while retaining Slackware's legendary stability and reliability. VectorLinux is also well known for optimized performance and for maintaining excellent support for legacy hardware with the Light edition. It has consistently been in the top 20 of the DistroWatch page hit rankings for a number of years. This week VectorLinux co-founder and lead developer Robert Lange was kind enough to answer some questions about VectorLinux, its origins, and its future direction. DW: Hi Robert, thank you very much for your time. Could you please start by telling us a little about yourself: where you live, what you do for a living, and anything else that might interest DistroWatch readers? RL: Hi Caitlyn. First let me thank you for giving me and VectorLinux a little PR through this interview. We are kind of the Rodney Dangerfield of Linux distros. 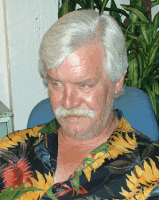 My name is Robert Lange, I live with my beautiful wife, a dog and a cat and our daughter in White Rock, British Columbia, Canada. We are about thirty miles south east of Vancouver, right on the US/Canada border. I have had many professions, mostly in sales. However, the last 10 years have been all computers with me as head technician for an independent computer shop close to where I live. Even though my jobs have been many, I have always been intrigued by computers since I first laid my hands on a Commodore VIC-20 so many years ago. I wrote my first program on that computer in Basic. It was just a modem communications program but it worked and I was pretty pleased. DW: How did you get into free and open-source software in general and Linux in particular? RL: I moved to Intel machines and became somewhat of a Windows geek in that I wanted to know how everything worked and how to extract every last bit of performance out of the operating system. That was Windows 98. In those days it was fun but I got bored so I started looking around at alternatives. What I found was Linux and the BSDs. I tried Linux first, I believe it was Mandrake, but my machine could not handle the graphical installer and the text version made no sense to me. Next up was FreeBSD and I got it working to my surprise. I learned a lot of the basics there, then decided to give Linux another try, this time Slackware, because of the reported similarity to FreeBSD. Well, to make a long story short I made it work and I was hooked. The tweaking you could do to Linux was endless and I found my home. DW: How did VectorLinux get started? RL: After spending a lot of time with Slackware, I started looking at Slackware-based alternatives. I found an amazing little project called Peanut Linux that had everything wrapped up in a 50 MB ISO image including XFree86. Peanut worked but had its problems. I spent some time helping the author of Peanut resolve issues and we became good friends. One day I asked if he would mind if I took the Peanut base and start my own project in a different direction. The rest is history. VectorLinux was born and has been my daily love since. DW: Slackware has a reputation of being somewhat hard to use. Is this fair? RL: I don't think so. Being different or being targeted for a special public doesn't mean it is hard. Some people find the modern GUI hard to use. If you have used command line your whole life you surely would find the Qt widgets hard to use. I think one thing is true, though: Slackware is not for everybody, but keep in mind that probably there is no such universal Linux distribution. DW: What inspired you to create an easy-to-use desktop OS based on Slackware? What were your goals when you first started? RL: Slackware has many strengths like stability, speed and efficiency. I thought it would be a good idea to package those virtues in a Linux distribution for another kind of user: the typical desktop user in particular. We wanted to make stability, speed and efficiency available for the desktop user and make it easy to install. DW: Tell us about VectorLinux today. What are the main differences between VectorLinux and Slackware and between VectorLinux and other Slackware derivatives like Zenwalk Linux, Wolvix or Absolute Linux? RL: Those are all good and valid options. Beyond the particular tools developed by the VectorLinux team, they all share the "Slackware for the desktop" idea. The differences might be the particular way in which that idea has been implemented. It has been a while since I had the time to look at other Linux distributions deeply but we can name one [difference] as an example: VectorLinux traditionally includes some options for browsing, media players, mail, messaging and a few others. We think that the user has strong preferences in those areas and we try to satisfy that. This gets harder each time because software is becoming bigger while the CD size stays at 700 MB. 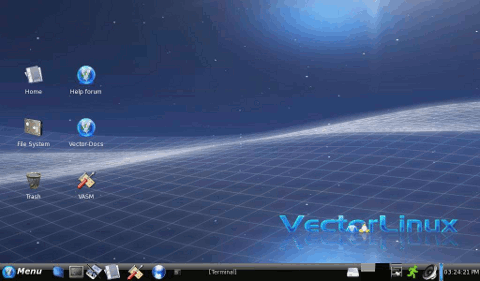 DW: VectorLinux has a number of unique applications and tools. Tell us about them. Which ones are you particularly happy with? RL: VASM is the most important tool in VectorLinux as the administration center. It can work from the X Window system and from the command line; it is fast and clean and easy to use. Another tool worth mentioning is VL-Hot, developed by one of the members of the VectorLinux team. It is truly unique, providing a simple way for auto-mounting external devices and we include it as an alternative for HAL. We are also in heavy development of our own unique GUI installer that was first used in our recent 6.0 release. DW: All of the unique VectorLinux code I've seen had been released under the GPL, the LGPL or both. Are you surprised other distros haven't picked up more of what has been written for VectorLinux? RL: Each project leader makes what they think are the best choices for the distribution. VectorLinux includes good tools and I think they will be noted eventually. For instance, some years ago we started to use the LZMA compression format for our packages and now the future seems to be its successor: the xz format. That tool (LZMA) has been part of VectorLinux and we are proud to see its success and to see Slackware start using it. DW: Where do you see Vector Linux going in the future? RL: We expect to keep growing and offer a fast, stable and efficient desktop for many more years. We think there is a place in the market for us. Efficiency is starting to be appreciated. For example, the MHz war between the CPU manufacturers seems to be over and power consumption is the key. A long battery life is as important as speed when choosing a portable device. We see these kind of facts as a signal of another way to understand computing. That way is closer to the idea we have been promoting the past 10 years. We will need an operating system in line with these new needs and new ideas. DW: Susan Linton of Tuxmachines.org wrote that she wondered why VectorLinux wasn't more popular. What do you think VectorLinux needs to break through and reach more people? RL: There is always room for improvement. We try to deliver a better experience and a more integrated desktop with each release. We are giving our best effort and we expect the public will recognize it soon. The support of our community is awesome and we are confident about our future. DW: Thank you for taking the time to share with us. NOTE: Robert asked that I mention that VectorLinux developer Rodrigo Bistolfi contributed to some of his answers. The new version of Fedora has been out for a few weeks now and reviews, benchmarks, comparisons and even customised editions are starting to appear. Rahul Sundaram announced the release of a community remix based on LXDE: "I am pleased to announce the community remix of Fedora 11 with LXDE as the default desktop environment. It is a live CD with LXDE. LXDE is a new lightweight desktop environment." The system is available for immediate download. Elsewhere, technology website Phoronix posted some comparisons between versions 9, 10 and 11 of Fedora, with some interesting results. Which release do you expect to come out on top? Moving on to comparisons with other distros now, Linux Magazine has an article comparing Fedora's default package manager, Yum, with that of Debian. So, how does Yum fair? You'll have to read to find out! Not resting on their laurels since version 2009.1, the Mandriva development team is busy preparing for its upcoming release. Indeed, they have just announced the release of the new alpha for 2010! There have been many recent changes to the "Cooker" development branch, which include things such as an update to GCC 4.4, 2.6.30 Linux kernel, KDE 4.2.90 in preparation for 4.3.0, as well as updates to KVM and Xen in the virtualisation space. It looks like 2010 is really on the move, building on a well-received 2009 release and incorporating some interesting features such as Moovida. Recently Mandriva also created a website for users to brainstorm new ideas for future releases. Things appear to be heading in the right direction for the distro. Will we see it becoming a force to be reckoned with in the future? Still on the subject of Mandriva, controversy is brewing over the French distribution's participation at LinuxTag 2009 which starts in Berlin, Germany on Wednesday. Last week, a notice was posted on Mandriva's official blog, announcing that the company would have a stand at Europe's largest Linux show. However, the notice was later withdrawn (you can read the post here courtesy of Google Cache) and communication with the third-party organiser, MandrivaUser.de, came to a sudden halt. The reason? Apparently, Mandriva CEO Hervé Yahi has had an accident and broke his leg. But the complete lack of communication with the organiser, after having booked the stand at the conference, seems rather worrying. For more on the unfolding Mandriva LinuxTag saga please read this thread at Mandriva Forums. In its quest for a highly competitive commercial grade operating system, Canonical is on the war path against minor annoyances. That's right, the Design and User Experience team is searching out annoying issues in Ubuntu which are relatively easy to fix, but which when left untreated negatively impact the end-user experience. The team writes: "A paper cut is a minor usability annoyance that an average user would encounter on his/her first day of using a new installation of Ubuntu 9.10." For anyone who is interested in helping, they are asking for system-wide bugs rather than those which are program specific, as well as problems with existing features rather than new ones. While this team is busy improving the user experience, administrators are setting out to find a way to monitor and ensure ethical behaviour on their mailing lists. The move most likely comes after some nasty words were exchanged between members of the community over whether Novell's open source implementation of Microsoft's proprietary .NET framework should be included by default. It's a passionate subject which appears to have brought out the nasty side in some community members. Currently sitting at fourth on the DistroWatch page hit ranking (and only separated by 40 points from second place) is popular newcomer, Linux Mint. A derivative of the number one spot holder, what does this distribution have that Ubuntu doesn't? And why has it become so popular? Online technical blog tech-no-media has recently published an interview with founder Clement Lefebvre, where he provides an answer. He writes: "It was probably a bit of luck at the start. The luck to fill a niche market with the codecs on top of a popular Ubuntu base but also the luck to find talented people in the very early days of Linux Mint, who helped the project and formed the core and a wonderful ambiance within the community. After that it was the fast pace and the amount of development done on Linux Mint. We pushed a lot of innovations and offered features no other operating systems had at the time." Will the distro continue to innovate and find its own path, or fall to the way-side as larger distros pick up some of these features? Our final interview this week comes courtesy of media company O'Reilly, where Federico Biancuzzi has published answers to questions asked of the OpenBSD development community about their recent release. Version 4.5 was born on the 1st of May 2009 and introduced several new features and better hardware support. Biancuzzi discusses some of these new features, such as those in the audio and graphical areas, as well as the ports packaging system. Perhaps a result of increased support on the OpenMoko mobile phone platform, Marc Espie writes: "The other important thing is that a lot of people pitched in to ensure more packages for more exotic architectures, so you'll probably be surprised to see that ARM (for instance) has a heck of a lot of compiled packages this release." Other topics include LDAP (Lightweight Directory Access Protocol) support, an updated OpenSSH, improved disk label support, certain security enhancements and more. François Dupoux has released an updated version of SystemRescueCd, a Gentoo-based live CD with a collection of data rescue and hard disk partitioning tools. From the changelog: "Updated the standard kernels to Linux 2.6.29.4; updated the alternative kernels to Linux 2.6.27.24; updated e2fsprogs to 1.41.6 (ext2, ext3, ext4 file system tools); updated LVM2 (Logical Volume Manager) to 2.02.45 (comes with devmapper); updated NTFS-3G to version 2009.4.4-AR10 (NTFS-3G advanced release); updated FSArchiver to 0.5.7 (file systems backup and deployment tool); updated Parted to 1.8.8-git-20080324; added Cowloop 3.1 (Copy On Write block device)." BlankOn 5.0, an Ubuntu-based distribution designed for Indonesian users, has been released: "Today the BlankOn developer team officially released BlankOn 5.0, code name 'Nanggar'. Some of the new unique features in Nanggar are contextual desktop, with the ability to change the theme and the wallpaper of the desktop based on the computer clock or based on the current weather conditions. Another unique feature is the Aksara Nusantara project which gives the ability to write in Batak Toba alphabet. BlankOn Nanggar provides a user guide that can be downloaded from here. Features: GNOME 2.26; office applications - OpenOffice.org 3.0.1, GnuCash; GIMP 2.6.6, Inkscape 0.46, Firefox 3.0 web browser; Linux kernel 2.6.28." See the full release notes (bi-lingual in Bahasa Indonesia and English) for further information. Patrick Verner has announced the release of Parted Magic 4.2, an updated version of the popular live CD designed for hard disk management tasks: "I guess it's about time to release another version of Parted Magic. Clonezilla is now part of Parted Magic's program line-up! This is not a dual boot set-up like some people have done in the past, the actual program Clonezilla can be launched directly from the Parted Magic desktop. It took some modifications to get it working and the Clonezilla author Steven Shiau did a fantastic job helping us make the necessary changes to Parted Magic so it would work the way it was intended to work. We also replaced bzip2 with pbzip2 and gzip with pigz." Visit the project's home page to read the full release announcement. Kai Hendry has announced the release of Webconverger 4.9, a Debian-based live CD and web kiosk designed for deployments in places like offices or Internet cafés where only web applications are used. What's new? "Shows a new Iceweasel (Firefox) security update 3.0.11; back to Xpdf despite printing dialog problems, because it's lighter and integrates better with the browser (no EULA to agree to every time); Webconverger base 4.9 featuring wireless ESSID with spaces fix and a compose key option; known to work flawlessly with Eee PC 900. Known issues: hard drive installer is not present on the ISO edition (or any edition for that matter)." Here are the brief release notes. Prithish Mathews has announced the release of Macpup Opera, a minimalist desktop Linux distribution based on Puppy Linux, but using the Enlightenment window manager: "Macpup Opera is the latest from the Macpup team. It is based on Ttuuxxx's 4.2v2 'Deeper Thought' a 'no Bling' edition of Puppy Linux 4.2 with all of the current updates. It has D-Bus 1.2.4 compiled and installed from source and the Enlightenment 17 desktop version 0.17.999.060 compiled and installed from source with the updated version of librsvg 2.26.0. Also included is the Opera 9.64 browser compiled by Ttuuxxx. Works with both X.Org and Xvesa video drivers. Runs all the latest Enlightenment 17 themes and backgrounds. There is an option on the exit menu to switch back to JWM, if required." Please visit the project's home page to read the brief release announcement. GeeXboX 1.2.2, a standalone, Linux-based media player, has been released: "GeeXboX 1.2.2 - feature enhancement release. With a few interesting patches recently having been committed to 2.0 development tree, people on the forum asked for backport of these to the stable 1.2 release. So did we, adding a new key feature, with multi-threaded video decoding support. Non-IT people can see this as a way to finally make use of their brand-new multi-core CPU systems providing parallelized treatment. And the results are pretty good, with a 1.8x video decoding speed boost on Core 2 Duo and 3.0x speed-up with Core 2 Quad. It is now truly possible to actually decode 1080p HDTV streams on Linux." Read the rest of the release announcement for more details. Glenn Cady has announced the release of Ultimate Edition 2.2, a desktop Linux distribution and live DVD based on Ubuntu, but enhanced with extra software, device drivers and multimedia codecs: "Ultimate Edition 2.2. This release was built from Ubuntu 9.04 'Jaunty Jackalope' with all the goodies you have come to love in prior Ultimate Edition releases pre-added and all upgrades pre-installed for your convenience. This release has two kernels - 2.6.28-13 and 2.6.28-11, selectable at boot time, increasing your chances of success." Read the rest of the release announcement which contains a number of screenshots. Carlos La Borde has announced the release of iMagic OS 2009.6, a commercial distribution based on Ubuntu: "The new iMagic OS has arrived! Now featuring Songbird music player and GIMP 2.6.6, iMagic OS 2009.6 is more up to date than ever, along with a whole host of new features, including a completely new and re-organized semi-transparent menu to save you time, a brand new wallpaper and updated 3D effects, among others. Upgrades are now completely invisible to the user. Whenever our team hears of or discovers a new upgrade, or a system issue, or just a simple usability enhancement, iMagic OS will automatically install it without hassling you with dialogs or taskbar notices, and without waiting until you are shut down your computer to stall, saving you time and work." Read the rest of the release announcement for more information. Macpup. Macpup is a minimalist desktop Linux distribution based on Puppy Linux. It uses Enlightenment as the default window manager and provides a user interface resembling that of Apple's Mac OS X.
Anubis-Linux. Anubis-Linux is a SimplyMEPIS-based distribution that comes with development tools and documentation. Its main purpose is to teach basic to advanced Linux usage and distribution re-mastering, general, system and low-level programming (C/C++, ASM), and networking, network and application security concepts. AV Linux. AV Linux is a full-featured, Debian-based distribution that specializes in multimedia content creation. AV Linux 2.0 is based on Debian's stable and testing branches, running the efficient LXDE desktop environment. It is further enhanced with Tony Brijeski's Remastersys installer, control panel and back-up utility. In addition to common everyday computer tasks, it features a full complement of the best F/OSS multimedia applications available, allowing users to enjoy multi-track audio recording and mixing, video capturing, editing and converting, DVD authoring and creation, iPod tools and more. AuroraUX. AuroraUX is an OpenSolaris-derived kernel and userland. The core of the project are its utilities written in Ada. Intuitive. Intuitive is a French, easy-to-use Linux distribution, currently in early stages of development. Linux Mangaka One CD. Linux Mangaka is a new, Japanese anime-flavoured distribution and live CD. It is based on a lightweight variant of Ubuntu called CrunchBang Linux, with LXDE as the default desktop. VINUX. VINUX is a re-mastered edition of Ubuntu optimised for visually impaired users. It provides a screen-reader, full-screen magnification, and support for Braille displays out of the box. Wires Cut Linux. Wires Cut Linux is a live CD for software development in disconnected, interrupted, and low-bandwidth (DIL) environments. It is a custom version of Xubuntu with built-in support for databases, web servers, and several programming languages. Where one is cut off from downloads and updates, distribution provides built-in packages. Some of the packages directly contributing to offline development are: AlwaysOnline, allowing Firefox to load pages from HTTP servers running on localhost; SQLite database browser, a quick way to edit SQLite tables; YelloSync, a non-NNTP clock synchronizer; and a full Ruby installation, complete with RubyGems and Rails. And this concludes the latest issue of DistroWatch Weekly. The next instalment will be published on Monday, 29 June 2009. Pie Box Enterprise Linux was a Linux distribution that was derived from the open source software made available by Red Hat, Inc. It was built from the source RPMs of Red Hat Enterprise Linux. Only a small number of packages are modified in order to remove Red Hat's trademarks from relevant images and to skip the RHN registration step immediately after installation. All other packages remain unchanged from those released by Red Hat and there are no packages added or removed. This results in a product that was fully compatible with Red Hat Enterprise Linux. The updates and repository service was very similar to the up2date service offered by Red Hat, Inc. It was a subscription-based service under which errata are distributed that have been compiled from source RPM packages that have been released by Red Hat, Inc.